Building and delivering well-designed, content rich instructional materials goes hand-in-hand with enabling rigorous and engaging learning to thrive. The Purposeful Teaching™ workshop equips leadership teams to be the drivers of change in their own schools. The Purposeful Teaching™ workshop is designed for leadership teams who are responsible for curriculum planning and lesson delivery in public charter schools, traditional public schools, and private schools that serve a high-poverty student population. United Schools Network serves students in grades K-8, but high school leadership teams are encouraged to participate as well. 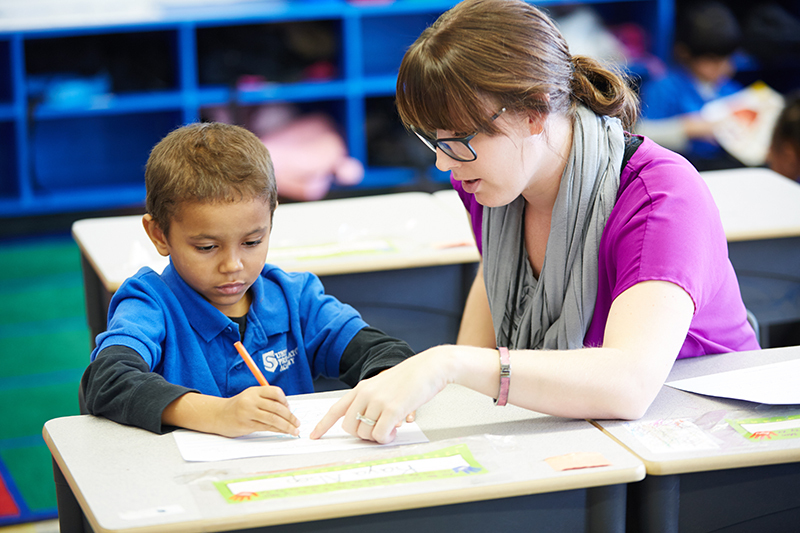 Through an intensive study of the lesson design and delivery process at the United Schools Network (USN), participants learn how to design and deliver lessons utilizing the gradual release method of instruction. You will leave the Purposeful Teaching™ workshop with the knowledge and tools needed to design and deliver lessons with a laser-like focus on student achievement. Learn the research base and cognitive science behind the gradual release method of instruction. Study the art and science of lesson design and delivery. Practice designing and delivering key lesson components. The Purposeful Teaching™ workbook that accompanies the workshop.